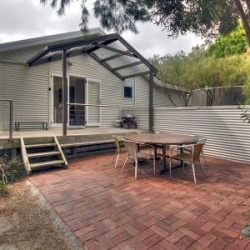 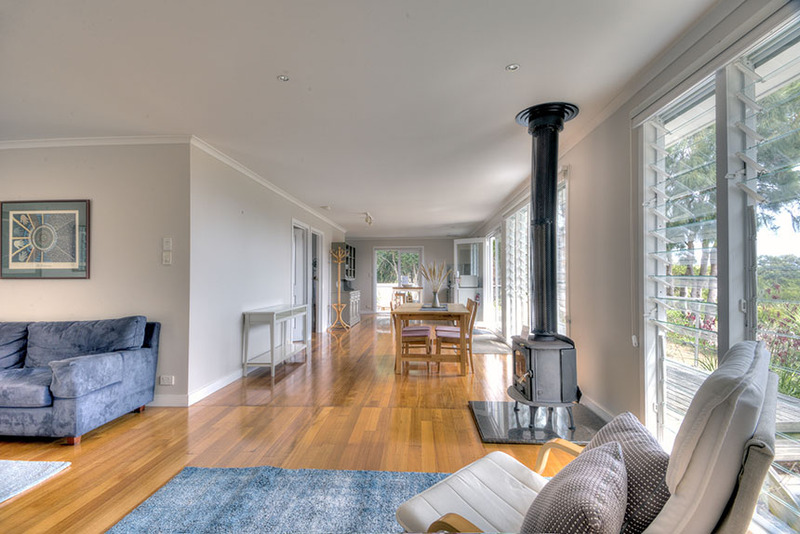 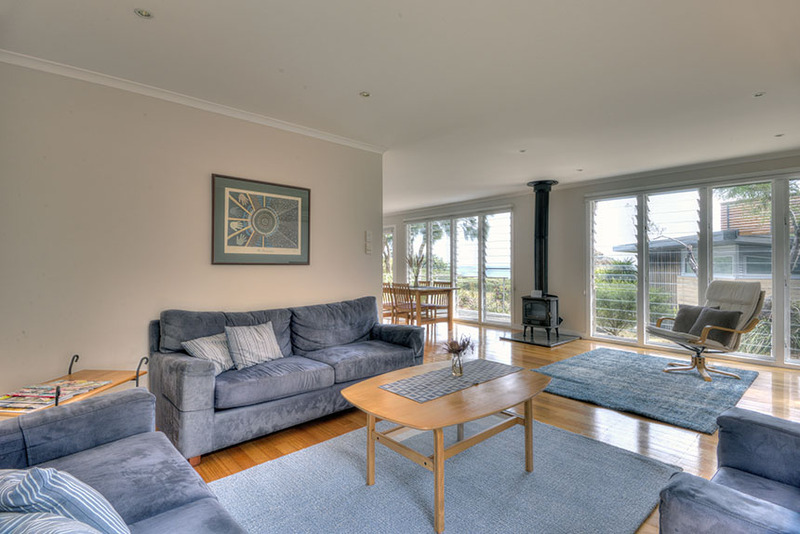 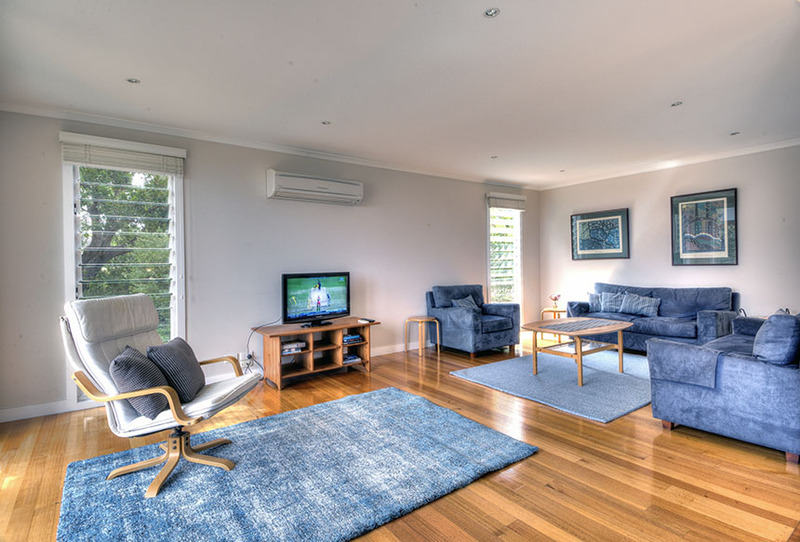 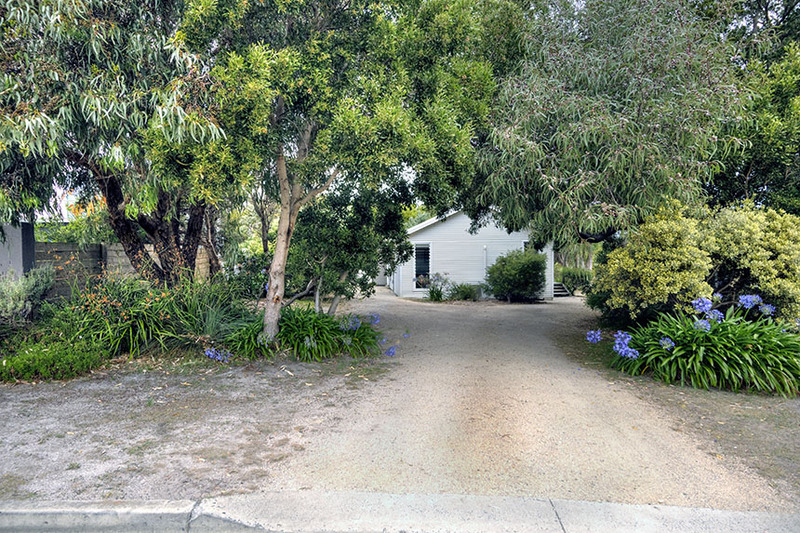 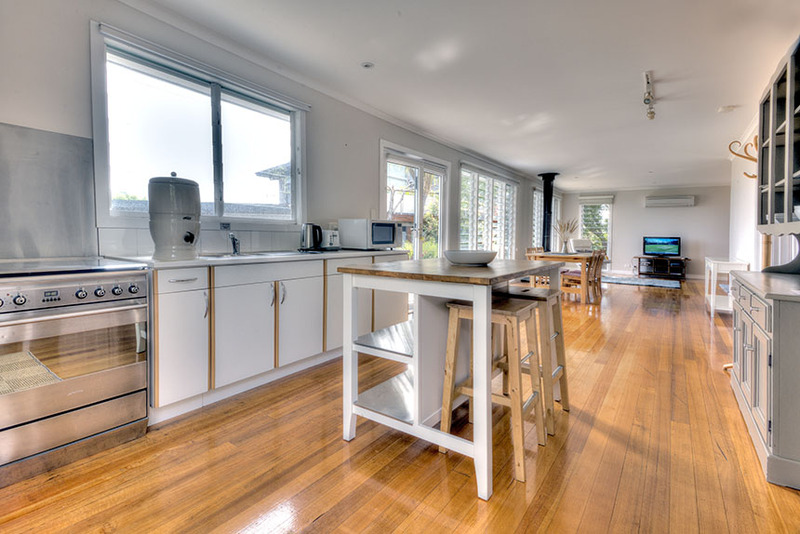 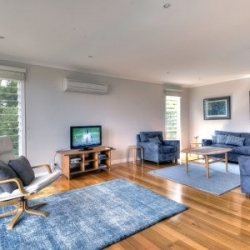 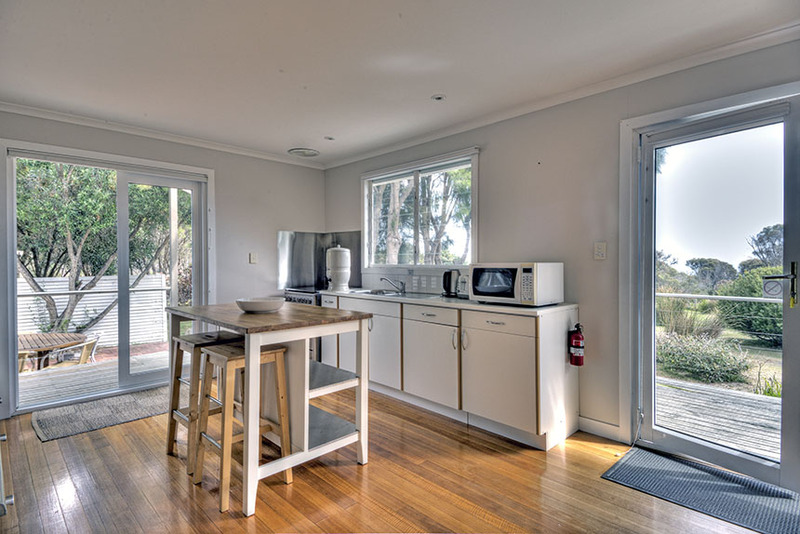 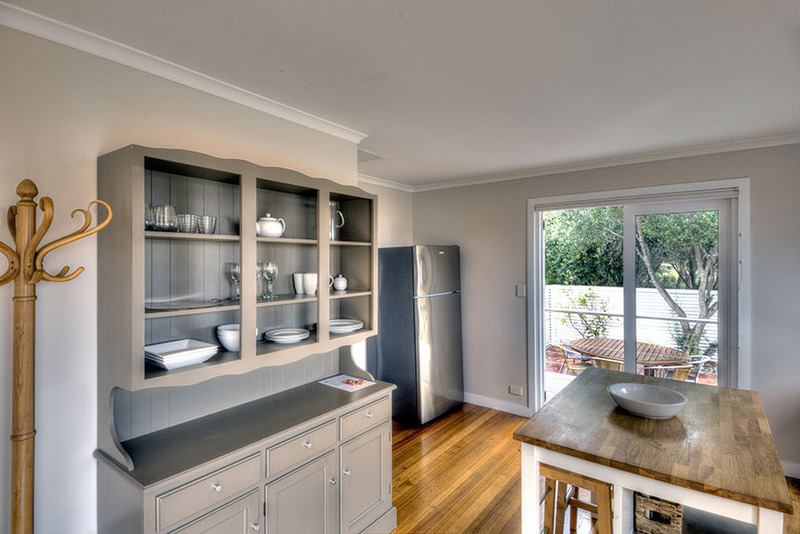 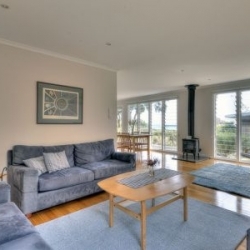 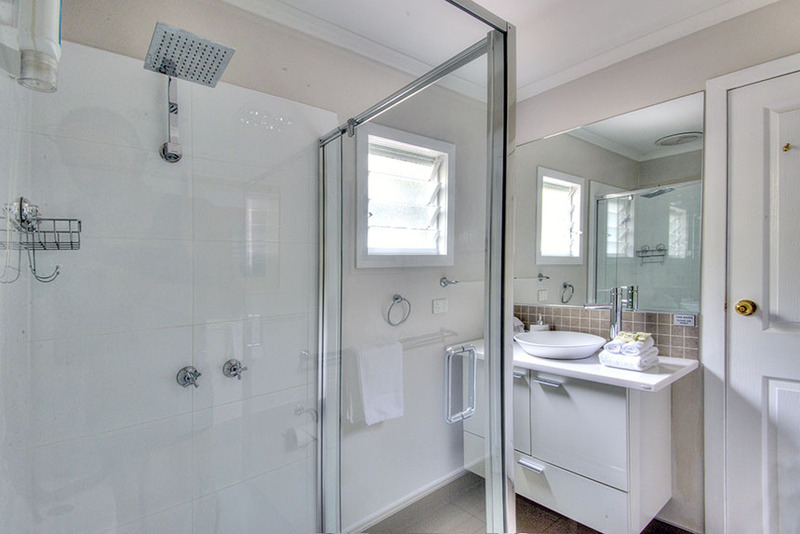 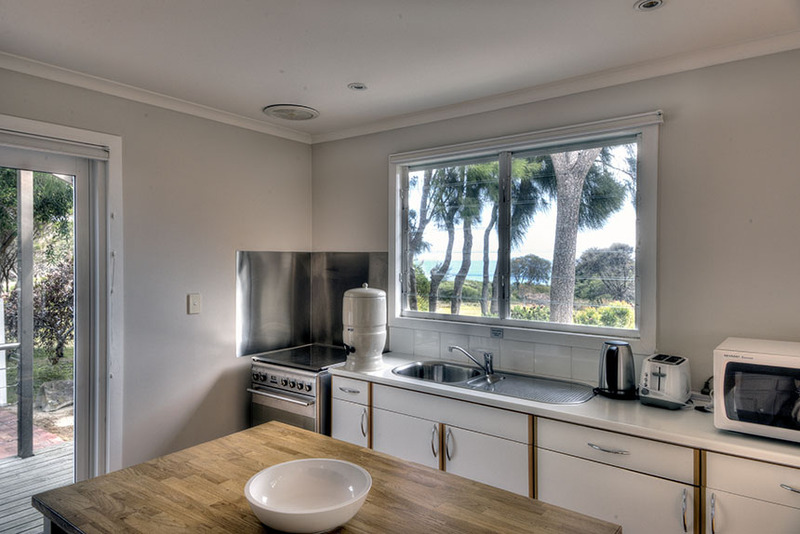 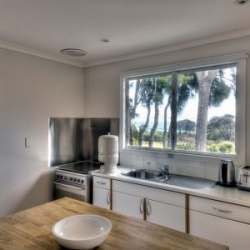 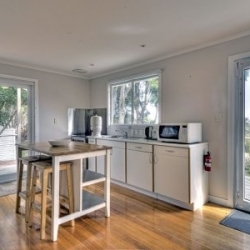 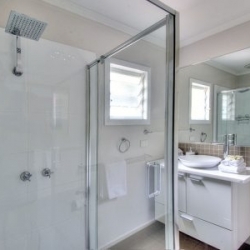 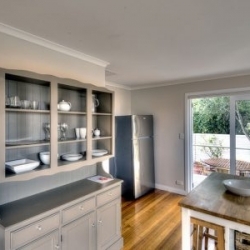 Freycinet Sanctuary @ Oyster Bay is a very comfortable two bedroom beach house. 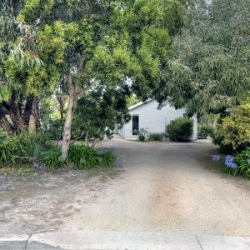 Surrounded by shady trees and a manicured grassed area, it has a great outlook and picnic area. 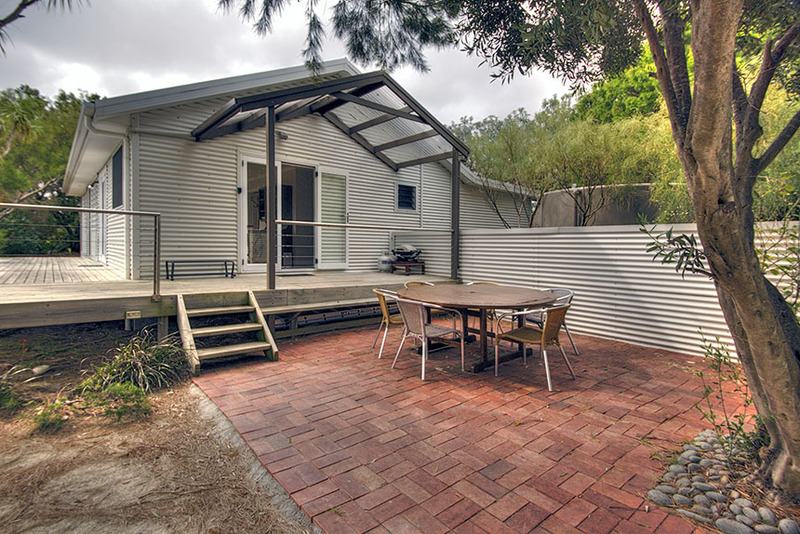 BBQ facilities are provided and a sheltered outdoor dining area. 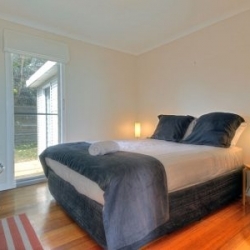 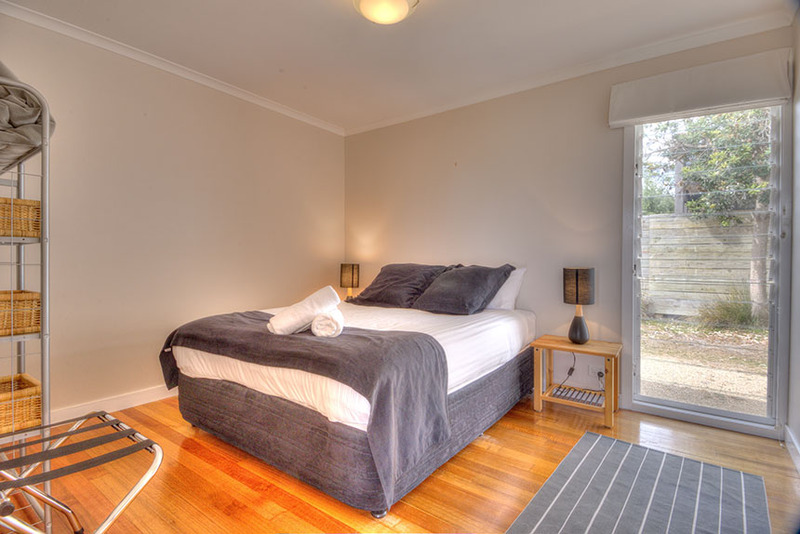 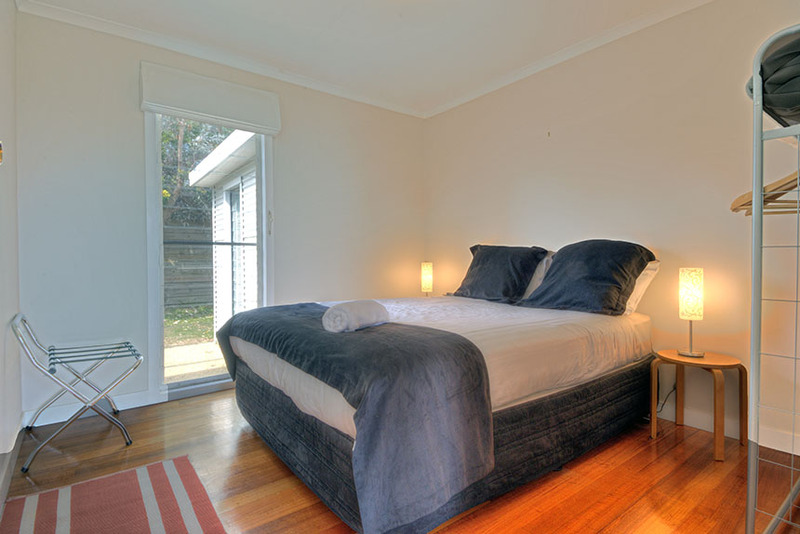 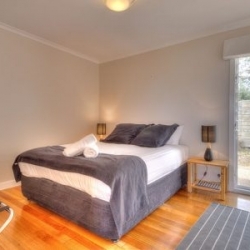 The two bedrooms have a comfortable queen bed in each room. 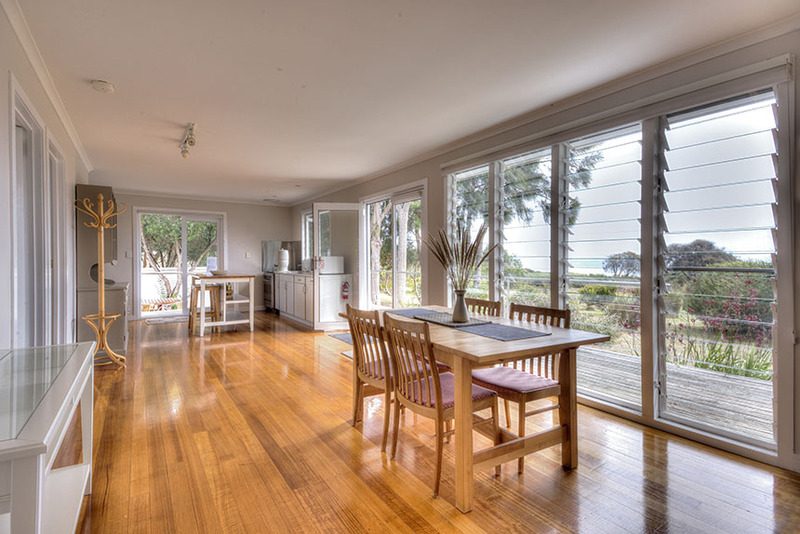 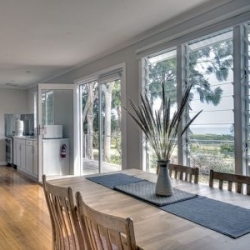 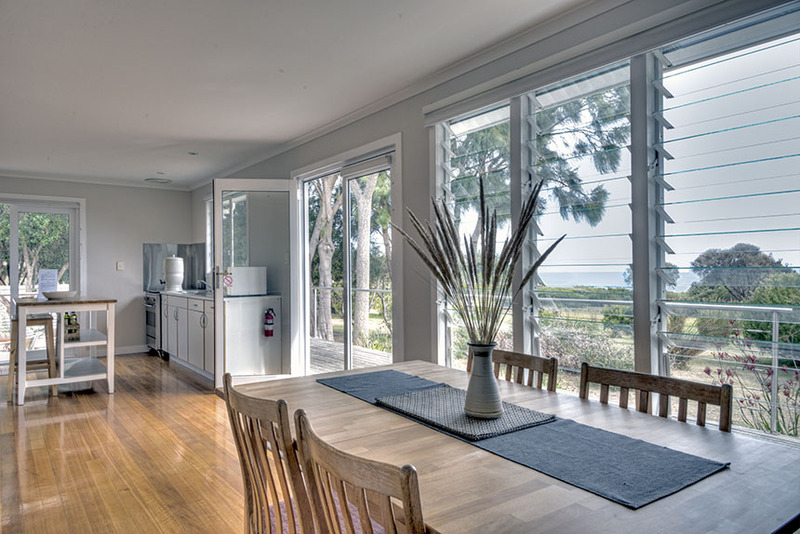 The house is fully self contained and has lots of windows letting in natural light and giving you stunning ocean views. 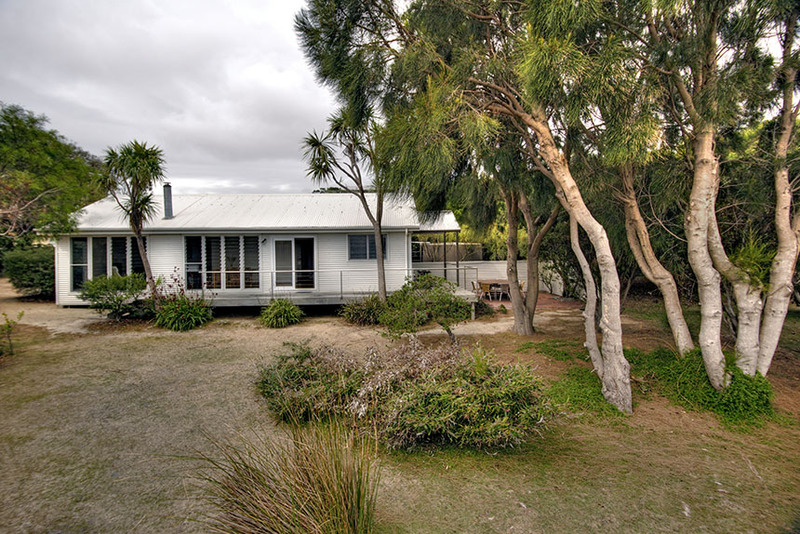 There are wallabies that hang around on the grass and even the odd wombat visits occasionally. 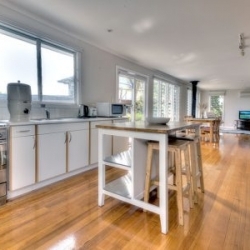 It is the perfect house for one or two couples, single friends or a small family. 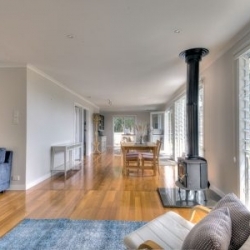 There is a wood fire that can be used in the winter, there is also a reverse air conditioner. 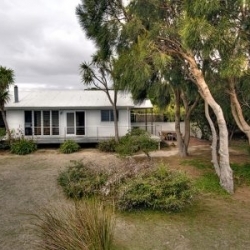 A short walk to a safe swimming, fishing and surfing beach.